West Suffolk College’s School of Art and Design has been recognised at the annual Times Educational Supplement’s TES FE Awards for an innovative project that brings together maths, art, religion and science teaching. The college’s annual MARS Award requires its 400 art students, studying at different levels, to take on a challenging assignment in term two that combines maths, art, religion and science (MARS) subjects. The project aims to encourage students to embrace the wider world and to develop inquisitive minds. Art and design students work with the School of Science on a series of challenging assignments which are evaluated by an invited panel of judges. Winners from each course are awarded prizes – with one overall winner. 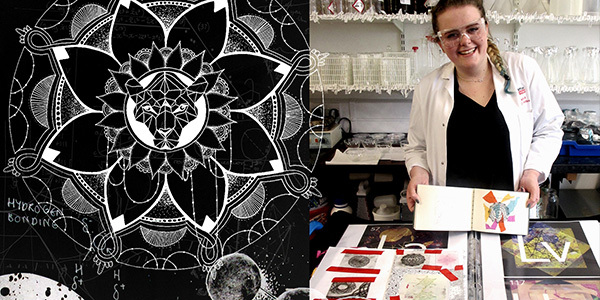 The current winner is Lauren Jones, a Graphic Design student who explored religion, maths and the periodic table. Lauren reinvented the periodic table of chemical elements into new design forms, alongside studies into the creation of the universe. 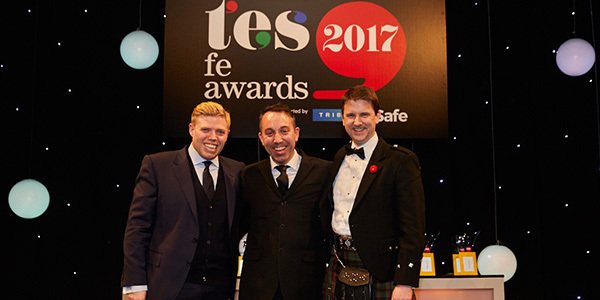 Judges for the TES FE Awards unanimously agreed that the college’s “completely amazing” MARS Award project “leaped out” and presented it with the award for Best Teaching and Learning Initiative. It is wonderful to have this high-level recognition for the hard and innovative work of our staff and students. We have embraced the opportunity to stretch and challenge the students, and the MARS Award has raised standards of depth, integrity, technical and creative skills as a result. Above all – and most importantly in education – for all staff and students, it has developed inquisitive minds. We need to ensure that young people do not just have a skills-set, but also the enquiring mind that enables them to look forward to what may be different careers throughout their lives, to be able to embrace new skills and change throughout their careers. Derek Johnson, Director of the School of Art and Design, presented the college’s MARS Award at the 2016 UAL Awarding Body conference and three subsequent Teaching Maths and Art CPD events.